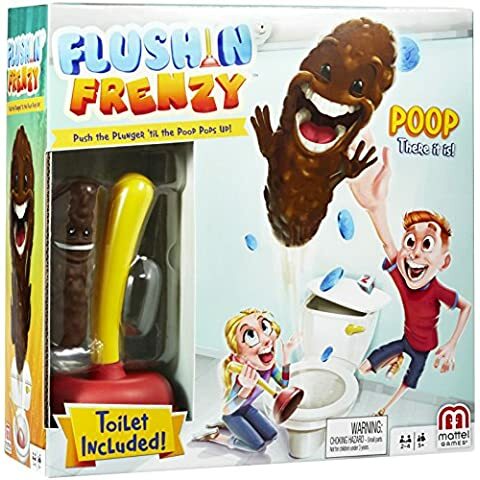 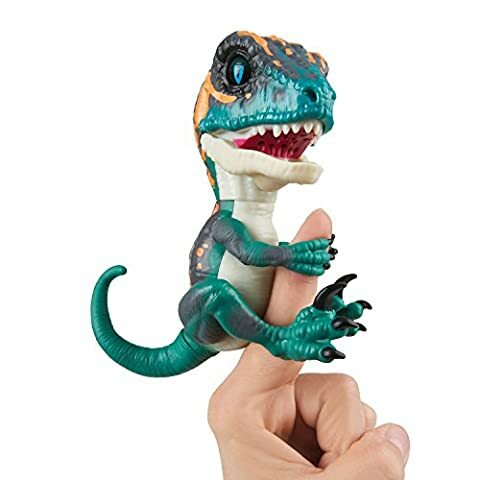 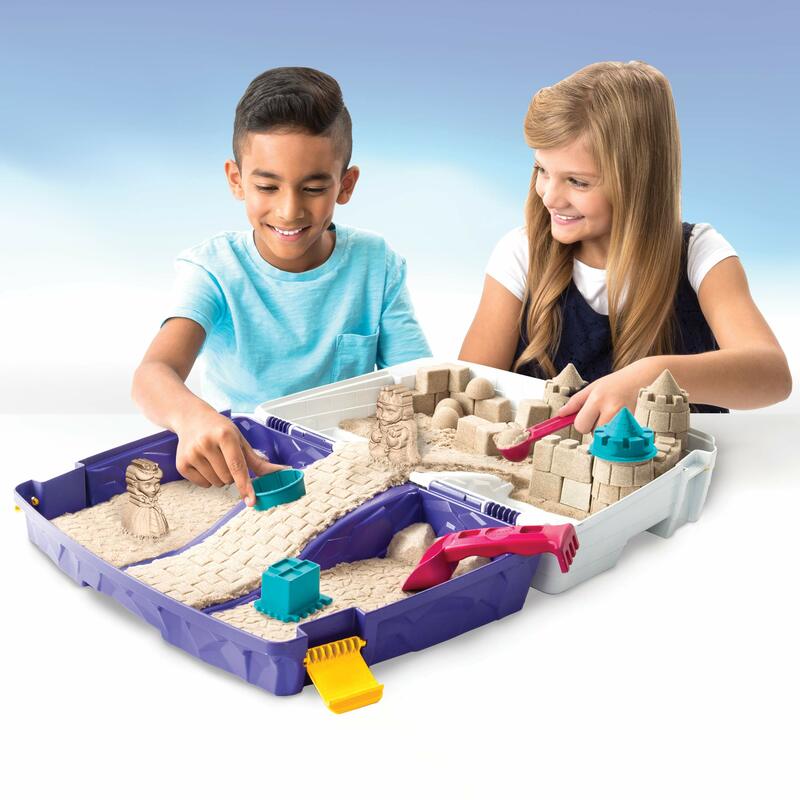 Over 20 ways to play! 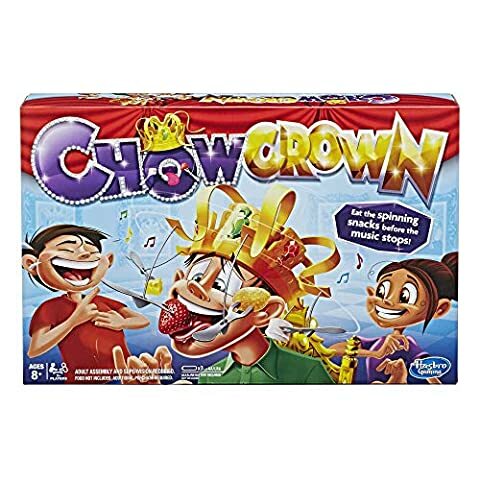 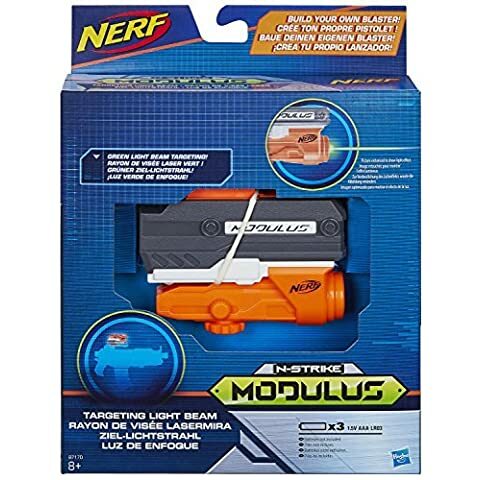 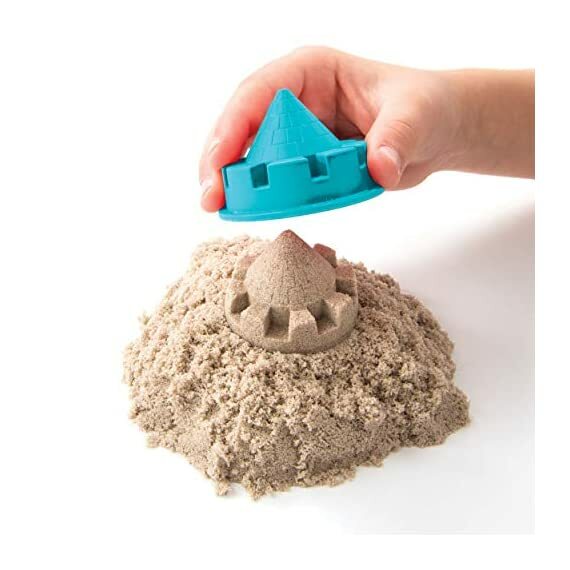 Use the 7 included multi-use moulds and tools to create kings, queens and castle-themed shapes or whatever you imagine! 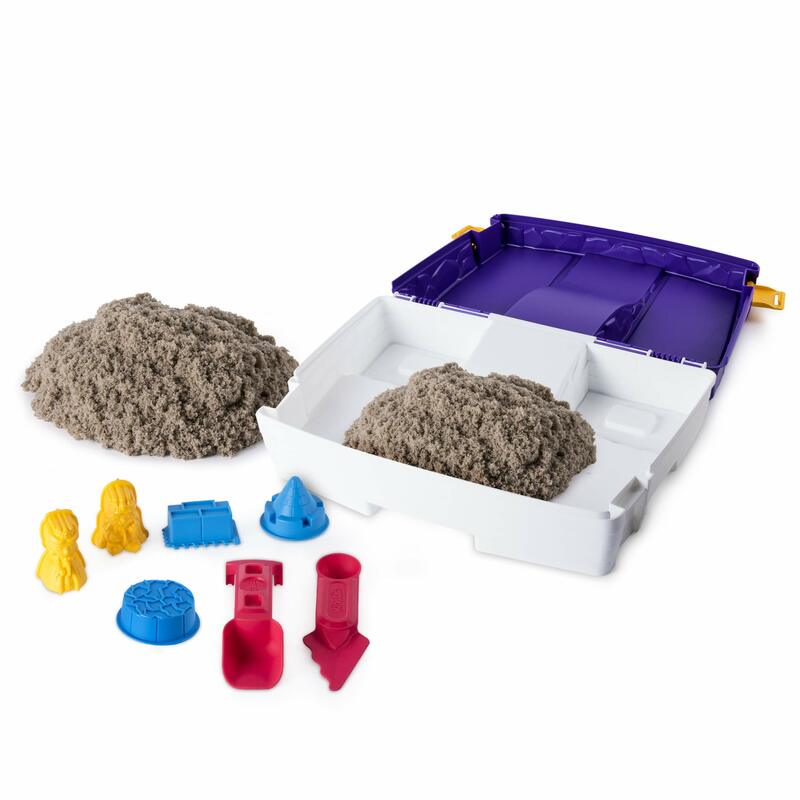 The Kinetic Sand Folding Sand Box features a contained play space for easy clean up and storage! 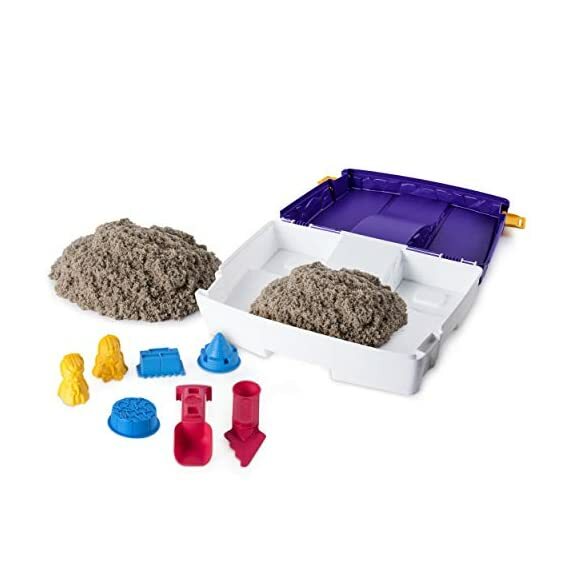 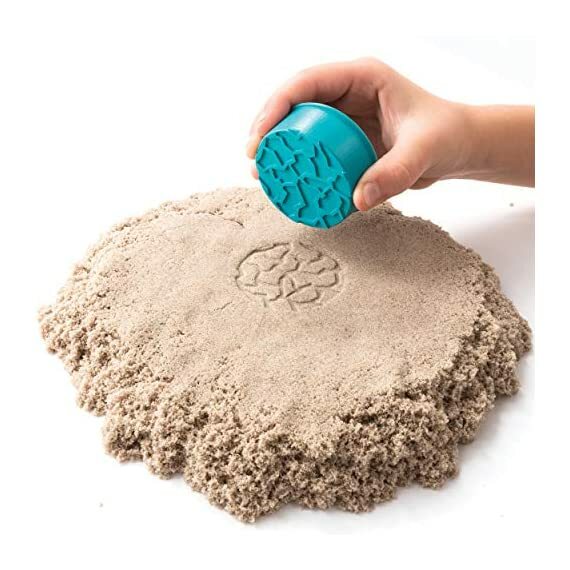 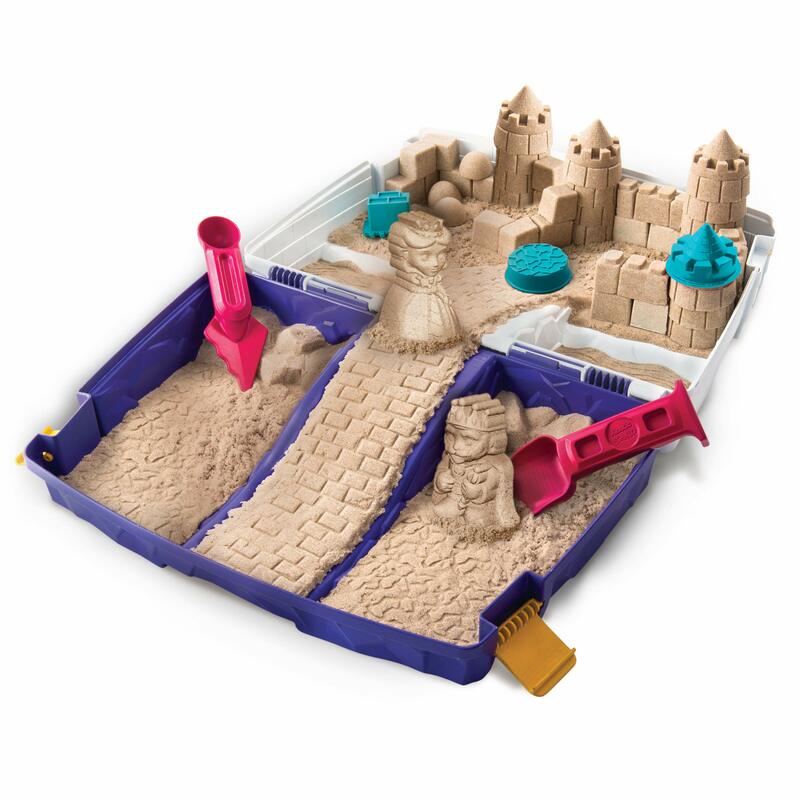 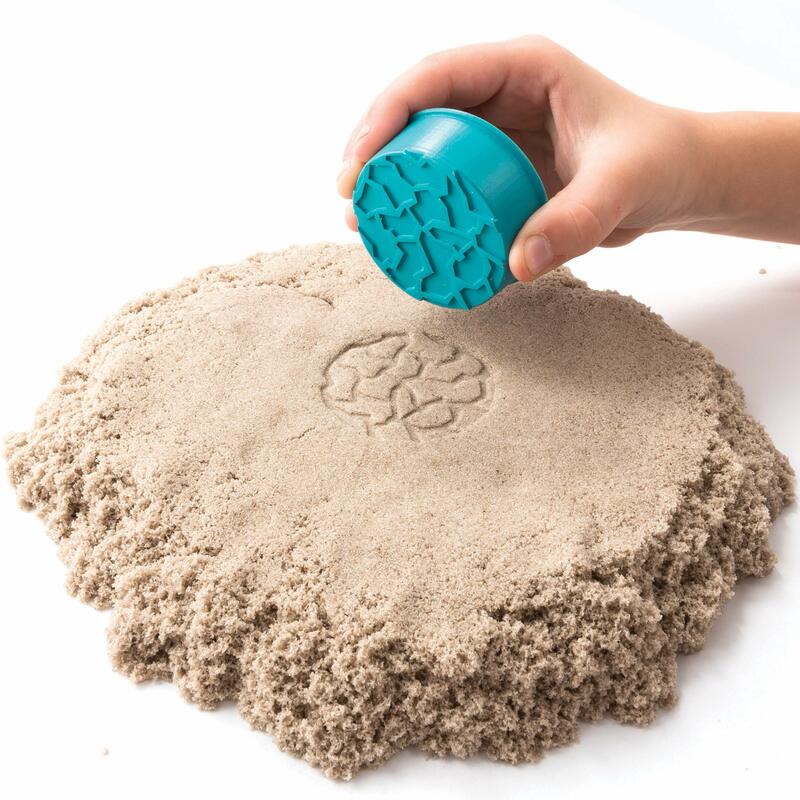 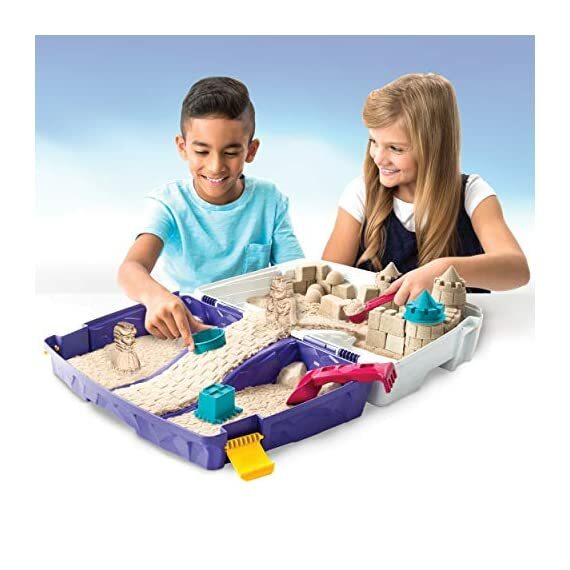 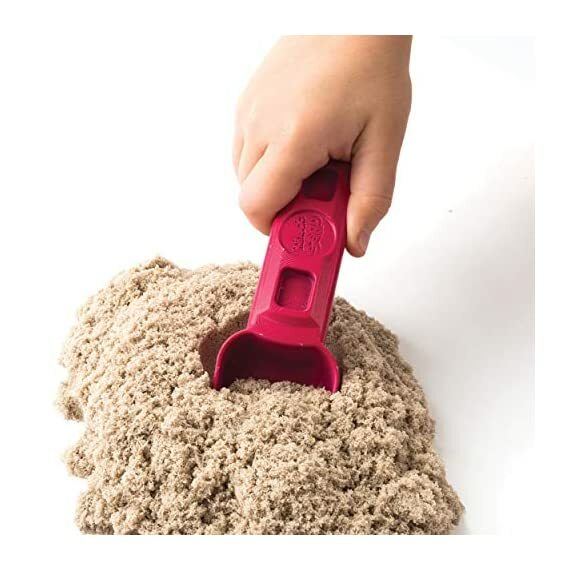 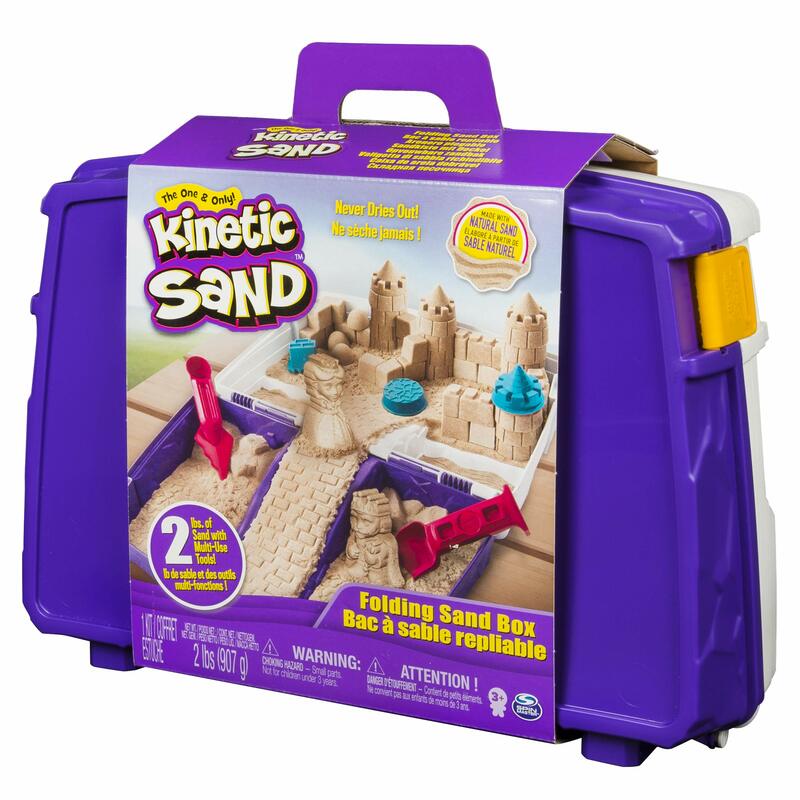 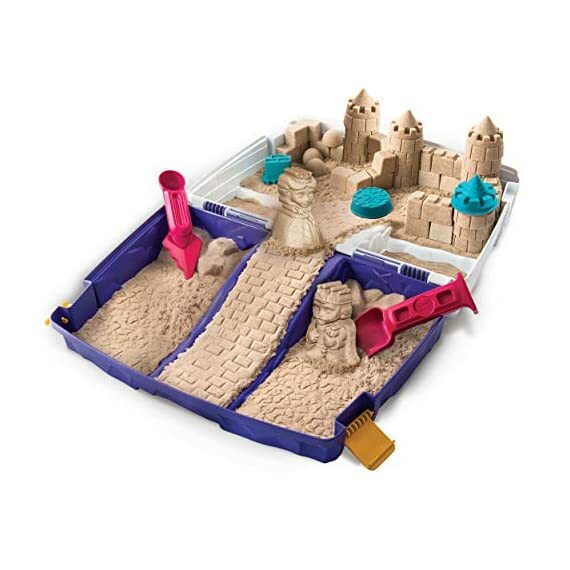 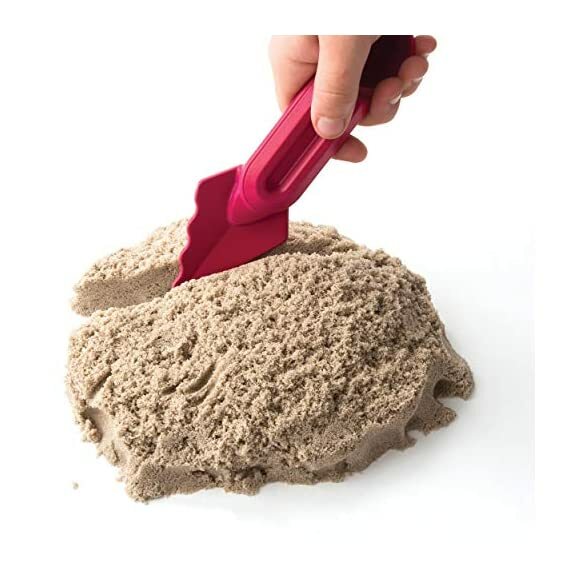 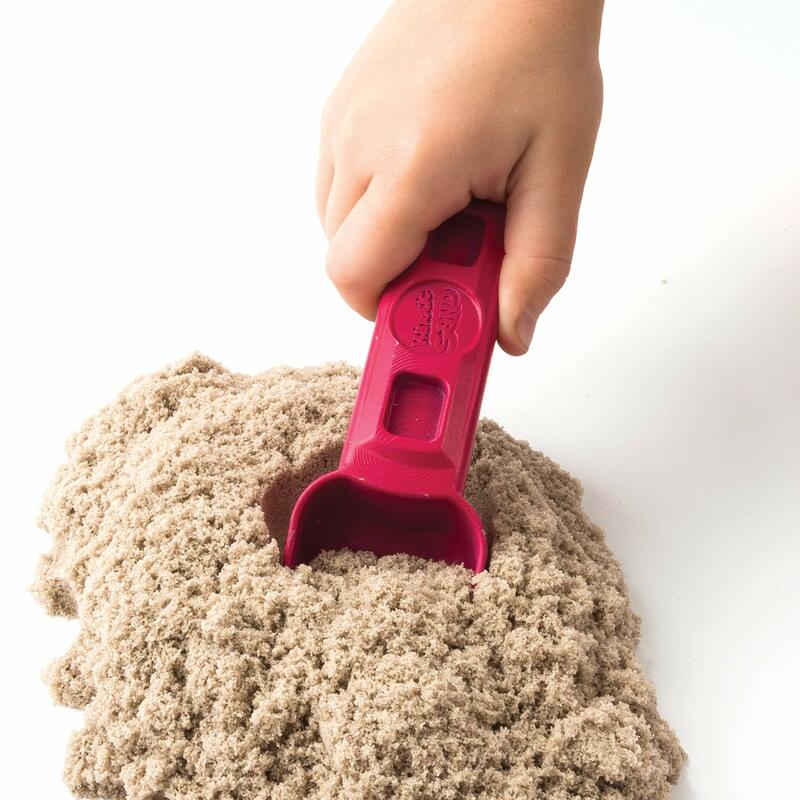 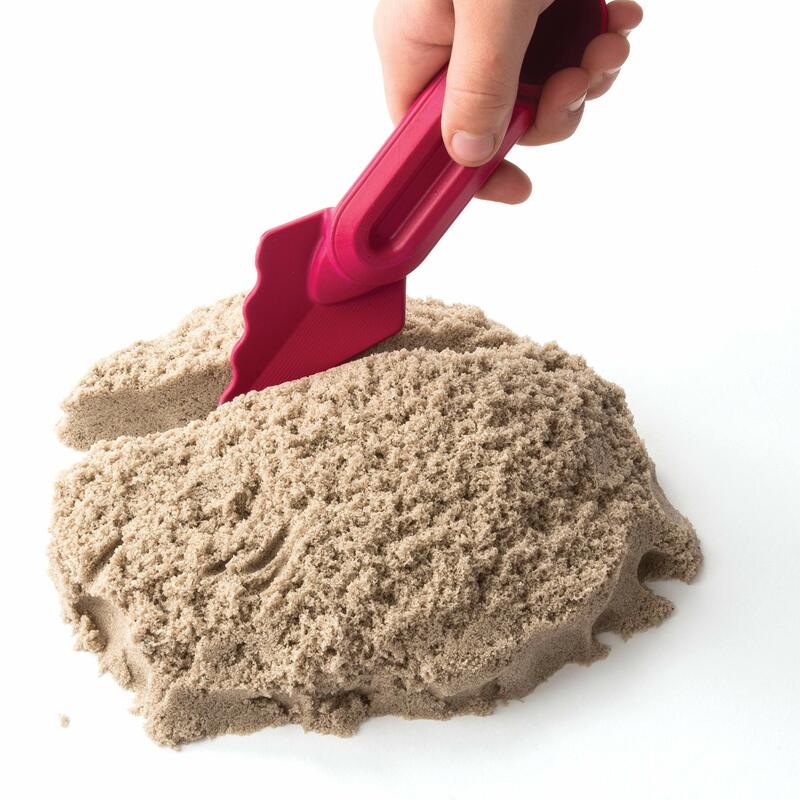 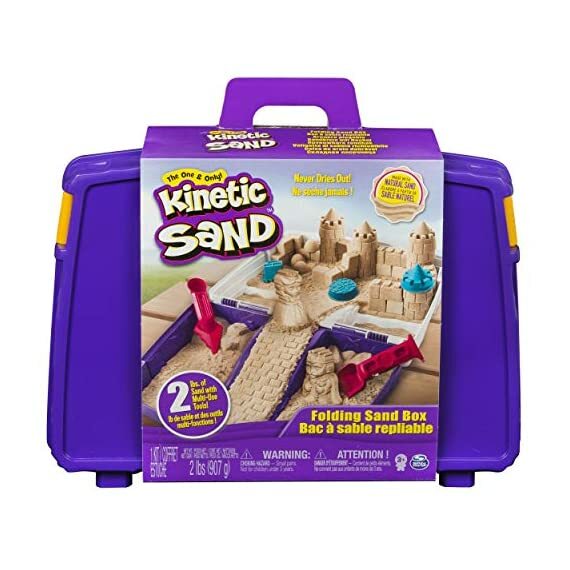 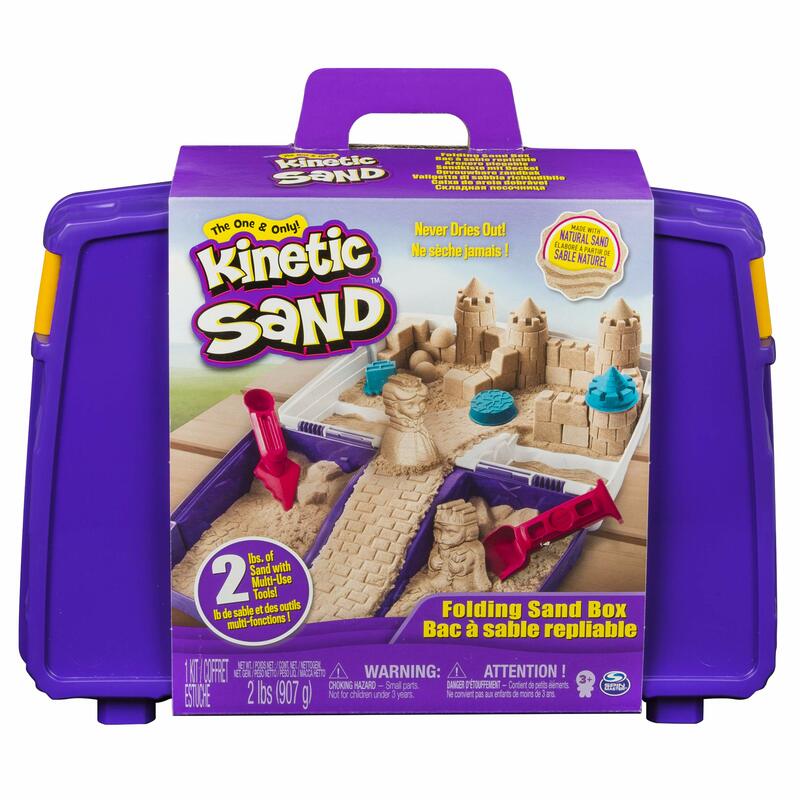 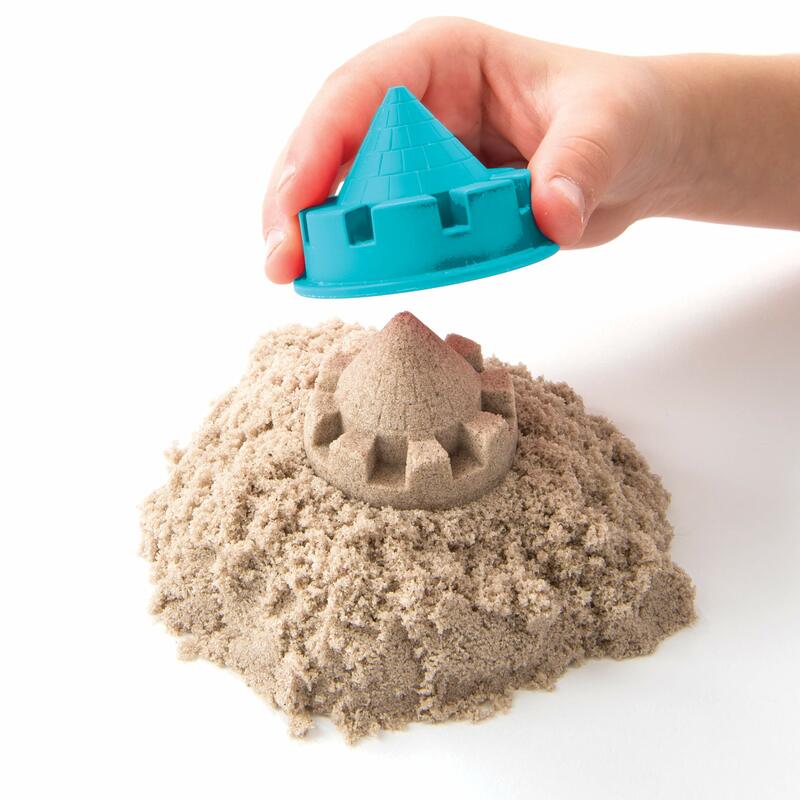 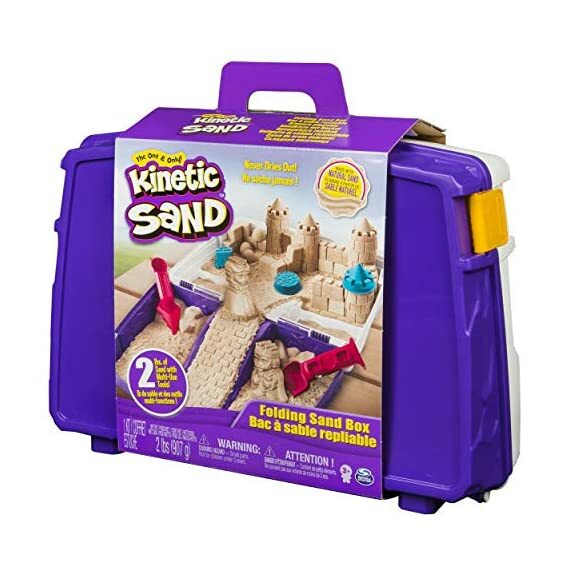 The Kinetic Sand Folding Sand Box is for ages 3 and up.